Our exploration of Wales continues with the return of our Discover Wales tour. Where the national animal is a mythical dragon, Wales will not disappoint. 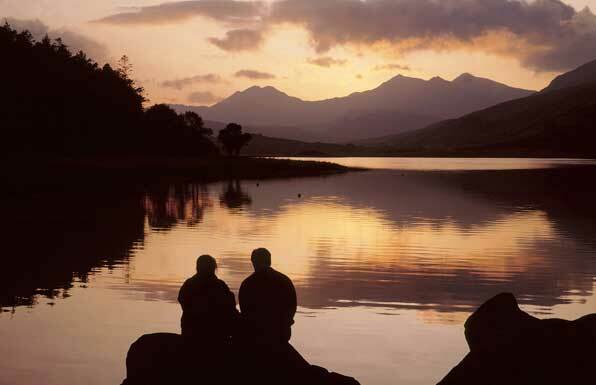 Explore three national parks, visit an incredible array of castles, and learn about the ancient Celtic culture. Plus enjoy two nights in London (pre/post). Arrive London on Sunday. Transfer to your hotel is included. You are free to enjoy London on your own. (Please note, hotel check-in is generally between 2:00 pm and 4:00 pm. If you are arriving into London early - the hotel should be happy to hold your luggage until your room is ready). Make your own way to the the the London departure point by 9:00 am (unless optional transfer was purchased at time of booking). Depart from London at 9:15 am. Departing London the road north west takes us through the Cotswold's, an area of outstanding beauty that is unchanged in many ways for hunderds of years. Following a lunch break, we travel west through the Welsh Marches; the borderlands between England and Wales marked out by the ancient Offa's Dyke. 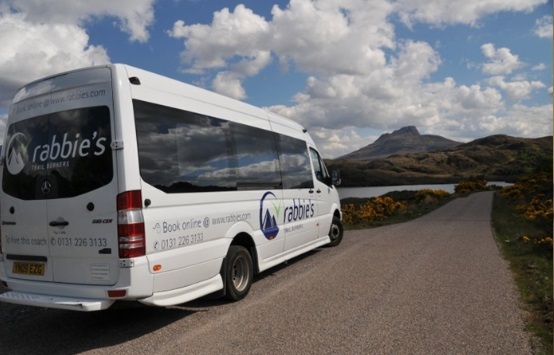 The route then leads into the heart of the Cambrian Mountains and the beautiful Elan Valley from where pure Welsh water is supplied to the distant City of Birmingham. Leaving here in the late afternoon it is just an hour or so to the beautiful seaside town and cultural center of Aberystwyth, our base for the next 2 nights. You will be dropped off at your selected accommomodation choice. Traveling north our first stop of the day is in the ancient market town of Machynlleth, the gateway to the mountainous region of the Snowdonia National Park. We then head for the beautiful mountain village of Beddgelert, the resting place of a legendary hound, ‘Gelert', and the nearby copper mine, no longer working but open to visitors. We travel on to Porthmadog, home of the Ffestingog light railway and over the Cob causeway before reaching the castle at Harlech, one of Edward I's masterpieces of medieval military architecture and part of a set of similar castles which that ring the north Wales coastline. 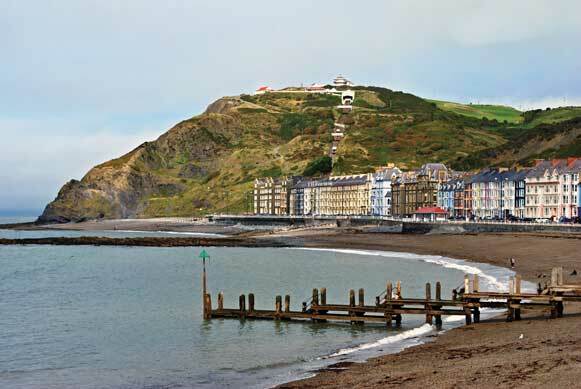 We return to Aberystwyth in late afternoon. Leaving Aberystwyth we travel around the coast of Cardigan Bay through the pretty little planned town of Aberaeron to New Quay with its a charming sandy harbour containing fishing boats and its connections with Dylan Thomas. From the breakwater wall you may be lucky enough to spot dolphins or whales out in the bay. We continue inland to Carreg Cennen Castle , home to the Welsh princes of Deheubarth and later a stronghold of King Edward I. Explore the castle and learn more about the great period of castle building that helped to consolidate the English kings claim on Wales. Later we head for the coast again at Laugharne where Dylan Thomas wrote the famous play “Under Milk Wood”. From here it's a short distance to Tenby, the small, picturesque seaside town that will be our base for 2 nights. Our last full day in Wales is spent exploring the extreme south west of the country, in the Pembrokeshire Coast National Park. 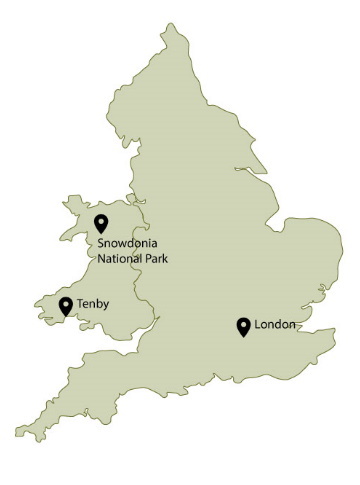 This region was the birthplace of both the patron saint of Wales, St David, and the Twdyr (anglicised to Tudor) royal dynasty. After stopping in the county town of Pembroke itself with yet another fabulous castle you will travel on to the tiny cathedral city of St Davids for lunch and time to explore this magical place. In the afternoon we return to Tenby for an afternoon exploring this colourful town with it's beachside Georgian Houses, cobbled alleys and 13th century medieval town walls. Overnight in Tenby. Leaving Tenby in the morning, we begin our return journey to London. We pick up the motorway taking us past the big industrial cities of South Wales to the outskirts of Cardiff for a visit to St Fagans outdoor National History Museum (an optional drop-off for anyone wanting end the tour in Cardiff is available). Afterwards we head back in time 2000 years with a stop at the remarkably well preserved Roman Fortress at Caerleon. From here sadly it is time to leave Wales behind and head back across the Severn Estuary bridge into England. We will take one final break at Castle Combe, a quintessentially Cotswold village where you can stroll amongst ironstone cottages dating back to the 16th Century. Arrive back in London at Victoria Bulliedway approximately 7:30 pm. A transfer is not available on your return, however, taxi's will be readily available to take you to your pre-booked London hotel. Day 07, Saturday: London - U.S.
After breakfast, check out of your London hotel. A transfer to the airport is included that will collect you from your hotel to the airport. We welcome your feedback on your return home. Your tour land price is per person based on two (2) people sharing a twin or double room. 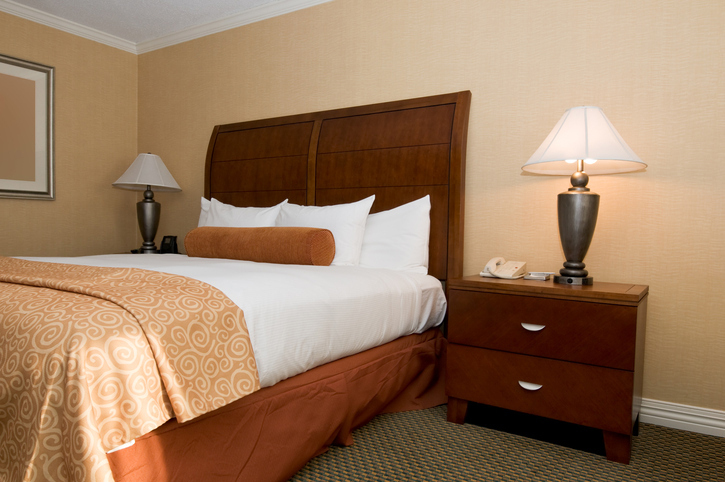 When a single room is booked, a single supplement will apply. There are no triple rooms for this tour. Discount rate applies to children aged 5-12 years. Tours are not suitable for children under the age of 5. Pre and post nights are based on Grange Hotels / Park City or similar. Hotel is on a request basis. If necessary, a hotel upgrade may be necessary. Your booking agent can advise this at time of booking. Property in Cirencester will be advised once confirmed by our UK supplier. Airfare is additional. Once you select your date, you will be given the opportunity to search our system for the best available airfare from your home city. The dates shown will be the start/end date of your tour. However, you can alter these dates to arrive earlier or extend your stay as needed. Our system will search for the best possible airfare during your booking process. Note: airfare cannot be booked sooner than eleven (11) month from the date of departure. Departure date is the date one would start touring in London including any pre/post nights. Does not include air travel. © 2017 Celtic Tours - All Rights Reserved.